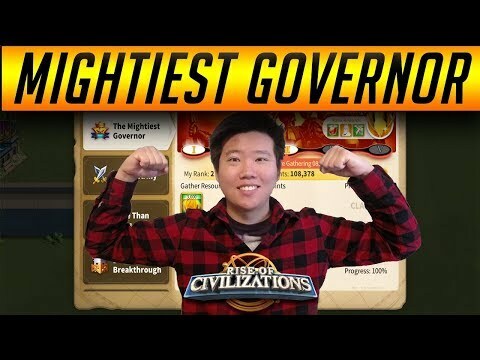 The Mightiest Governor event is a multi-stage Rise of Kingdoms event. It has 5 stages in total, each stage has the duration of 24 hours with the exception of the last stage, which takes up to 48 hours. 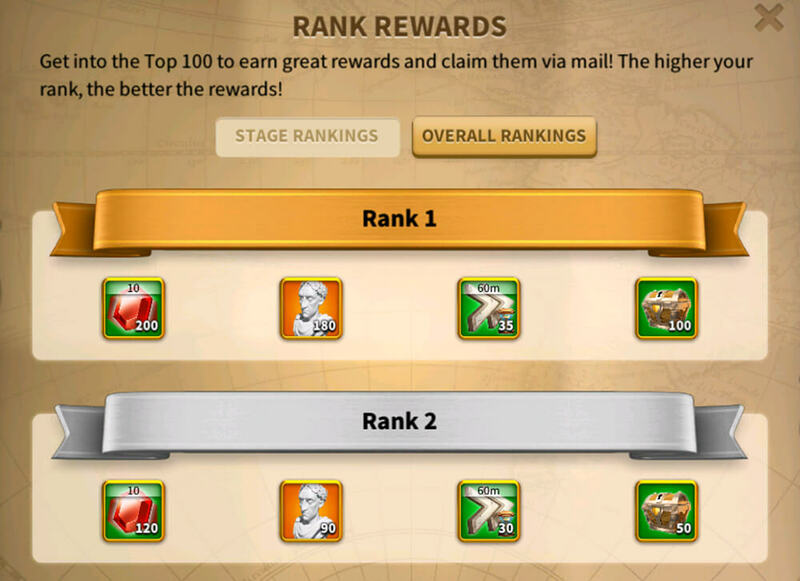 Due to the length of this event, it is known as the event that gives the biggest rewards for the top ranking governors. Ranking at the top of the event leaderboard is not easy at all. That is why today we are going to give you the best tips and hacks for the The Mightiest Governor Event. Some of the buffs you want for the first day of the event. 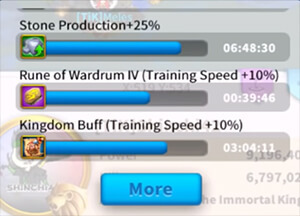 Simply activate any items that helps you increase the training speed and training capacity like Runes, Kingdom buffs, Troop Reserves Items (which increase the training capacity). You can train up to 20k+ units at a single training queue. Do the training before the event starts. You can easily know when the event starts by checking the Event Calendar. Time it correct so that you can collect the trained troops immediately when the event starts. That way, you will be ahead of everyone else and you still have 24 more hours to train troops and get more points! It is always a must to use Lohar or any high level Peacekeeping Commanders you have during this stage of the The Mightiest Governor Event. This is because they have the talent called Insight. It’s going to reduce the action point attack cost 10 attack Barbarians by 10. Isn’t that amazing? In additional, Lohar could go a lot of extra damage to the Barbarians and Neutral Units, helping you make the most of every single action point. 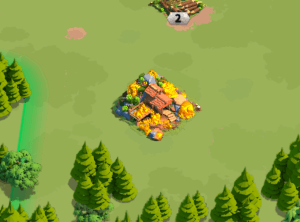 Send all of your dispatches to farm Barbarians and always camp them after every attack as the attack cost reduces after every attack as long as you do not get back to the City. Remember to always share the location of the Barbarians you are attacking with your Alliance members so that they can help you attack a lot easier and quicker. Everyone will get the rewards. 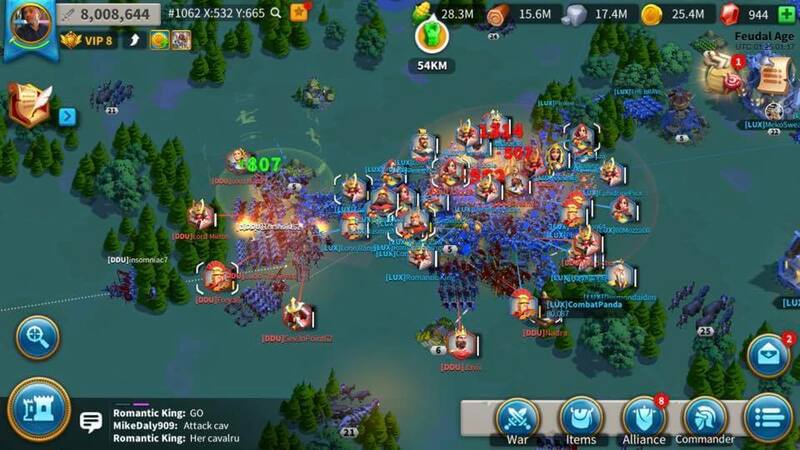 Focus on Barbarians level 25 as it gives the most point, up to 3600 points. Tip: Before this stage starts, Send the join of Joan of Arc and Sarka to your Alliance’s Resource Center! And when they are about to return home, camp them next to your City. Do not let them in. Once the day 3 started, collect the resources from them and you will be ahead of everybody! You can reinforce them to the Alliance Flag to protect them before the Gathering day If you want. Alliance Mother Lode gives the best start for the Stage 3! At level 50 commander, you can gather up to 6M of resources or even more at one turn. 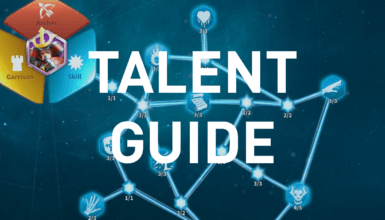 Joan of Arc has the Fresh Recruits talent which increases the maximum troop capacity by 3%. The reason why you need to focus on the Integration path at the late game is because Joan already has a guy gather bonus passive skill. 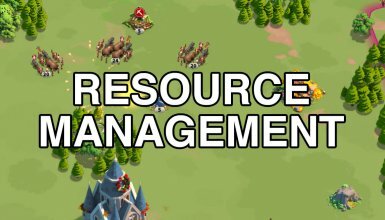 And you also just need to sit for a long time before collecting the resources. To maximize the resources you could load, couple Joan with Sarka as she has the Lost Treasure skill, which increases the troop load up to 30%. Also, her last skill Short-lived Heroine increases the troop capacity up to 10%. This combo allows you to bring tons of troops in just one dispatch. If your Alliance opens a Alliance Mother Lode right before the 3rd day, you could gain tons of points. Gathering Gold gives you way more points than gathering other resources. Also if you guys want to maximize your gathering speed, make sure you get the runes for boosting farming speeds. So if I focus on gathering wood, I would get the Wood Farming Rune. You also want to activate the Gathering Speed +50% buff. You can get it from the Courier Shop, VIP Shop, Alliance Shop and some events. In case you want to know, the Queen title gives you the gathering speed of 15%. So if you’re gathering using the tip I showed above, I don’t recommend to gather it so fast because you need to make sure you keep an eye of it. If you know that you can keep track of it, get all of the runes and buffs but make sure you set a timer on your phone and make sure you go back to your game and before your commanders reach the City and then camp them somewhere else before the event starts. Increase your total power to earn points! The total power can be found right on the top left of your screen! A few days before the event even start, I usually upgrade two of the most power increasing building. And then use some speedups to finish them when the stage 4 starts. Also, just do a Academy research right before the event starts and then collect it once the event started. I also train troops constantly during this time. So the key thing here is that if you’re in the higher stages of the game, your upgrading time takes a long time so upgrade them couples of days ahead. Time it to the time when stage four hits and then you will get the maximum amount of points for the research you can held off on collecting them. And also the troop training, you can also held off on training on collecting them. Kill or severely wounding to the other governors to earn points! Now this is pretty straightforward all. You need to do is basically battle. This is the whole point of Rise of Kingdoms anyway. Usually, w have have a skirmish mission that we attack the alliances we don’t like and sometimes we can be a mercenary, getting hired in by other Alliances like they are in a war. We also usually have an exhibition. What we do is that we have a spot on the map where we invite the other Alliances to come and do friendly battles to earn points together. That’s something that you guys can do! Just be creative on it! The other thing you can do is to attack the inactive players. There are a lot of inactive players at the late stage of the game! Just destroy them and get the points out of them. Also, during the kill event, this is probably the best time for you to test your commanders. You can either ask the other lives players for a duel! Here is a quick look at the rewards you could earn as being the top ranking governor in The Mightiest Governor. How crazy those rewards are? That is why everyone is crazy about this event and everyone wants to get that top spot!